One of the challenges when discussing "restoration" is a lack of standardized terminology. The terms used on this web page will include definitons. Understand others may have their own definitions for these terms, and/or their own terms for these definitions. It's the overall concept that's important, which is the primary purpose of this web page. The parts, configuration, and condition of a U.S. Caliber .30 Carbine at the point in time the manufacturer handed it over to U. S. Army Ordnance. This was a new carbine, fired only during factory testing. I call these the "Golden Fleece" of U.S. Caliber .30 Carbines as every serious carbine collector is on a never ending quest to find them. To accurately assess a carbine as "factory original" can be a monumental challenge. Tall stories are in no short supply. Unless they have documentation to back it up the story has almost no value. Not all stories are intentional attempts to defraud though these are not uncommon. Sometimes someone inherits a carbine with a family story passed down to them that's less than accurate. The goal of the manufacturers and government was to manufacture and ship reliable and functional M1 Carbines to the soldiers who needed them, at an incredibly demanding pace. Think: 6 million plus M1 Carbines from 10 manufacturers, each with dozens of subcontractors, in under 4 years with almost every part in the M1 Carbine having it's specifications changed at least once, usually twice, sometimes even more. These companies were not in competition with one another once contracts were granted. They all strived to make the same thing to the same specifications for a common purpose. If one manufacturer ran short on certain parts, other manufacturers who had a surplus of the same parts sometimes sent them to those who needed them. One manufacturer made only the receiver, all other parts were subcontracted or obtained from other manufacturers. Sometimes a subcontractor would make a particular part/parts for more than one manufacturer. Many parts were marked by the subcontractor and/or manufacturer, sometimes certain parts were not marked at all. The Ordnance Department updated part specifications as perceived deficiencies were identified. Some manufacturers were faster than others at making the changes. A box of the latest specifications could be emptied into an assembly line container, placing the older parts in the bottom where they would be used last in that batch of rifles. The list of challenges is not something written down in any one place, or many places. The decision that a rifle is a factory original often comes down to a person's many years of experience working closely with M1 Carbines. There is only one absolute with the factory original M1 Carbines. They cannot be restored. An example of a factory original would be a presentation M1 Carbine. These gems were provided to a specific individual in gratitude for their contribution(s) to a particular manufacturer. They were usually presented with a presentation case, plaque, and a letter of presentation. Some more elaborate than others. These are M1 Carbines that have likely never even been shot, let alone taken apart. To do either diminishes their value. A factory original that was given by the U.S. government to a military force, who likely issued it to a soldier, who likely used the rifle for it's intended purpose. Likely more than once. The majority of M1 Carbines were issued to the U.S. military and issued to American soldiers for use all over the world during World War II. 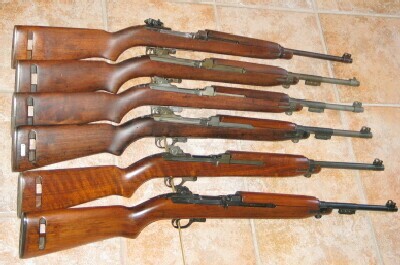 Most, but by no means all, of these M1 Carbines were given back to the military by the soldiers. Most, but not all, of the M1 Carbines the military gave to various ordnance and contract companies for the rifles to be inspected and updated to the M1 Carbine specification standards of that particular time. The word given to this inspection and update process is "rebuilt". The reason for this is the carbines were taken completely apart and the each part was placed in a bin for that part. Each carbine was literally rebuilt from the part bins, so none stayed as they were from the factory. Most of the rebuilds were conducted in the USA and very closely followed Ordnance guidelines for the rebuild. Rifles not yet issued and already up to standards, were not rebuilt. At least one contracted company was not in the USA, Fabrique Nationale (FN) in Belgium. American rebuilds have markings on the left side of their stocks to indicate which ordnance or contract company rebuilt the rifle. Foreign contracts for rebuilds were prohibited from leaving a rebuild mark. M1 Carbines were sent to more than 20 different countries as part of the Lend/Lease program. More were later sent to Central and South American countries. M1 Carbines were used by U.S. and South Korean soldiers in the Korean War, U.S. and South/North Vietnamese and Viet Cong soldiers in the Vietnam War. Israeli soldiers in the 6 Day War, and continuously into the 21st century. The M1 Carbines this site is devoted too, were not "rebuilt", some were partially updated to post-WWII standards, some were not. Most, but not all, of the M1 Carbines used by the German police and Austria police were "imported" back into the USA by private import/export firms. They are not the only M1 Carbines "imported" back home after serving with the police or military of other countries. "Historically Authentic" is judged by the unique history of each specific M1 Carbine based on the accumulative totality from the time it was handed to a military force until a particular person came into possession of it. You think "factory original" is a challenge, try authenticating a "historically authentic" M1 Carbine. There is only one absolute with the historically authentic M1 Carbines. They cannot be restored. How do we restore a particular M1 Carbine's history? If we change any part on that rifle, it is no longer historically authentic. Preserve the history of these M1 Carbines, and you have preserved an historically authentic M1 Carbine. If you want to shoot your historically authentic M1 Carbine, it does not change it's history. If a part breaks, preserve it as is, and use a replacement part when you shoot the rifle. If you own an M1 Carbine that was used by the Bavaria police or Austria police, you have a rifle with a very special history. It is historically authentic. Many of these rifles have been stripped or altered for a variety of reasons. To do so, is to remove one more piece of history of the M1 Carbine from existence. Rather than destroy it's history, it would be better to sell it for what it is and buy what you really want. A person buys or acquires a U.S. M1 Carbine. After doing their homework on what parts the rifle may have had on it when it was completed at the factory, they set about obtaining those particular genuine parts and reconstructing the rifle to be "Historically Accurate". Most people who do this attempt to restore the rifle to what it looked like brand new off the factory assembly line and Ordnance approved. Some companies offer to do this restoration for a fee. Some do an absolutely beautiful restoration. Obviously, caution and homework is advised before turning your rifle over for restoration. You may find the links on this website of value in helping you. Keep in mind the last M1 Carbines were built in 1945. What would you expect a rifle that's been to war would look like? If a rifle looks like new and a seller claims it's "authentic" with a high price to match, it's a good time to get the opinions of others, before you buy. Some sellers are aware many M1 Carbines are worth more money if sold one part at a time, versus selling the rifle as a whole. If the seller has limited knowledge of M1 Carbines they will strip apart a historically authentic M1 Carbine and sell the parts one at a time. The odd part of this circle of life is people buy the parts stripped from a possible factory original or a historically authentic M1 Carbine, to piece together another M1 Carbine that LOOKS like something it isn't, and might have been before the quest for money gutted it. Unfortunately, "forged" parts do happen. Parts are big business, especially parts that are difficult to find. Many buyers, myself included, have been duped by sellers who deal in these parts. The people who do this rely on a person's lack of knowledge to deceive them. These are best countered by being aware some people do this, doing your homework beforehand, and having resources available to verify information. Ordnance dies for the M1 Garand salvaged from a defunct company. Some of these dies were also used on the M1 Carbines. These were auctioned on Ebay. A definite collectible, hopefully in the possession of someone with integrity. 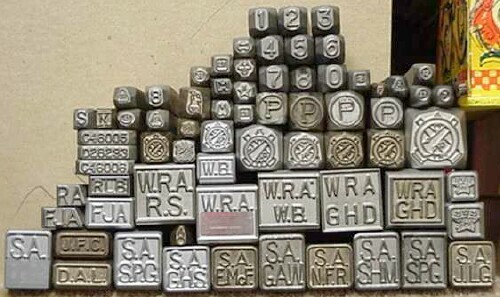 Various dies are used as substitutes by counterfeiters. Your best resource for what's genuine and what's not, and sellers who have a reputation of providing questionable parts and rifles, are the M1 Carbine owners on the internet in the discussion forums and boards. The links page has websites for such resources. The key is to ask before you buy. It's a case of buyer beware, and prepare. There are resources, all you have to do is use them. There is absolutely no rule, law, or anything else that says you must have a factory original or historically authentic M1 Carbine. A fair number of people have no interest in collecting M1 Carbines, they just want one that looks great and/or shoots great. Many of us who end up collecting a rifle or ten had our interest grow as a result of shooting the M1 Carbine. Some collectors have their collection, and an M1 Carbine or two set aside for shooting that look great and functions flawlessly, without being 100% "authentic". The links page may be of help to you in your endeavors of making your M1 Carbine look and function better than if it was new from the original factory. Enjoy. Realize the word "value" is a variable, subject to interpretation, debate, and sometimes a lack of agreement. There is obviously monetary value, but there is also historical value, sentimental value, personal value, and more. The M1 Carbine collector whose motivation is what's missing in their collection is a bit different than the collector who sees an opportunity to resell an M1 Carbine of value for a profit. Also, different collectors collect different things. One collector's focus may be factory originals and historically significant (belonged to someone of note), another collects the extremely rare of a particular manufacturer, another collects one of from each manufacturer. The collectors have their own area(s) of interest, and they vary. Then there are those of us who pick something like the M1 Carbines used by the Austrian police. The above collectors generally have no interest in "imports", which have historically been of less value. Some of us have a different interest than the money. Preserving history can also up the value. I think the monetary value of an M1 Carbine, or any part thereon, is what people are realistically willing to pay for it. If the right collector is looking for what you have and sees it's for sale, your rifle will have a higher value. It's a good idea to get to know what you really have, and what the various collectors and buyers might be interested in. I use two primary resources to assess value. First, I check the online auctions for what is being sold, and do a search on what has been sold. Keeping in mind there are many variables. Then I'll ask the opinion of others in the M1 Carbine discussion groups. Keeping in mind some know what they're talking about, some don't. If you monitor the discussions now and then, it will become apparent who people turn too for honest and accurate opinions. The more time you spend reading and watching various sources, the clearer these things will become. 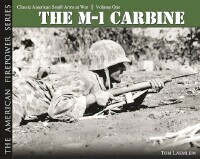 If you just want an opinion for personal knowledge, put pictures and the questions on an M1 Carbine forum. If you want a professional appraisal, I'd suggest checking the auctions and using the forum, before paying for a professional appraisal. It may save you the money. I would encourage everyone who received an M1 Carbine from a parent, grandparent, or other loved one to strongly consider the likelihood emotional value is worth far more than monetary value. What you have is one of a kind, there is no other like it. If you are thinking of selling it, consider preserving it for your kids and grand kids. By the time they get to see it, the soldiers who carried it may all be gone. If one of those soldiers was your loved one, you are in possession of a family heirloom that just might be directly responsible for allowing you, your kids, and their kids, to exist. There are ways to preserve it, and render it totally safe, without the use of an acetylene torch.